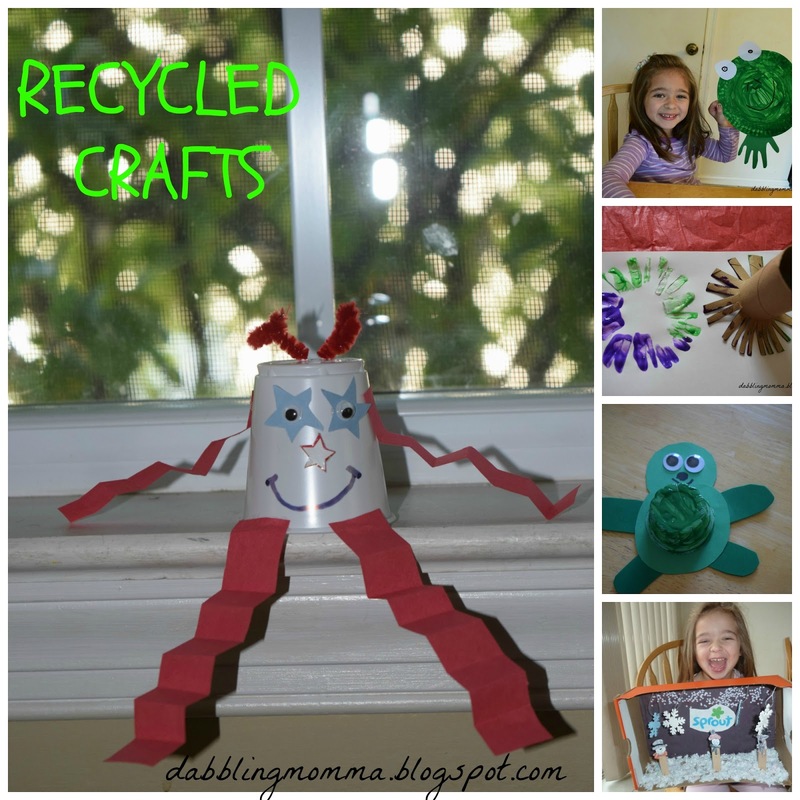 If you're like me you keep containers, toilet paper rolls, boxes, etc for crafts to do with the kids. Here are a few recycled materials that we crafted with. We used a plastic container for the turtle's shell. You could also cut off the bottom part of a soda bottle and use that too! Their are so many ways to craft with toilet paper rolls. 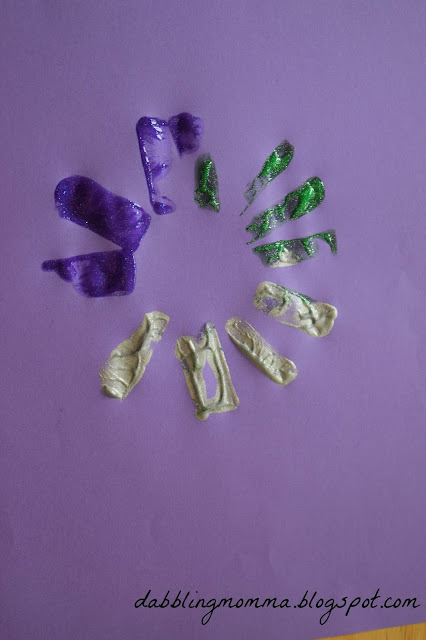 When I saw this post from Happiness is Homemade I knew we could use a bunch of our toilet paper rolls in one pop. I found the post right in time to do for the 4th of July. 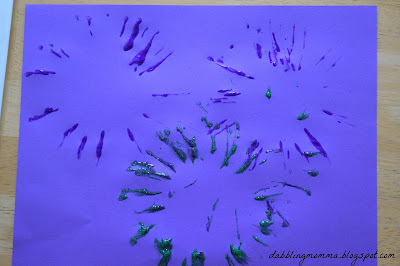 I also realized that painting with the rolls not only turn out looking like fireworks but like flowers, too! Just add a stem and maybe a center and voila...a flower! 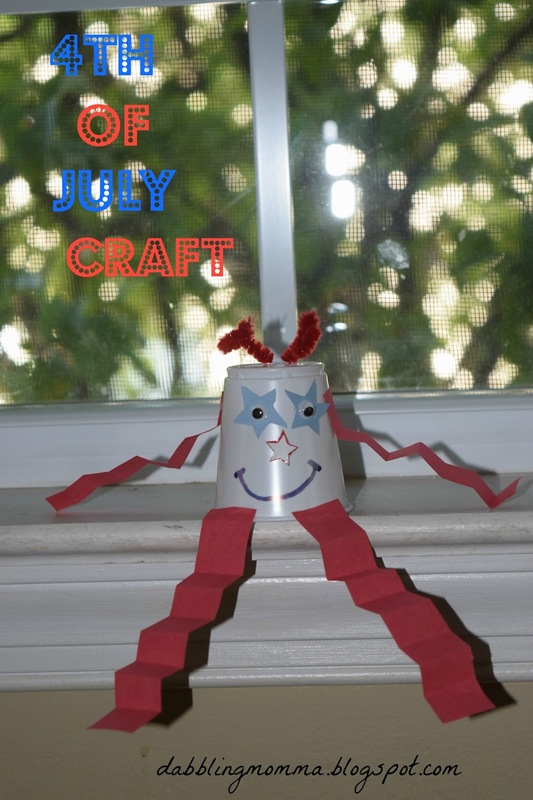 This is another craft that was perfect for 4th of July but you could also turn this cup into a snowman or maybe paint it orange and turn it into a pumpkin, depending on what the season is. Another favorite of ours is using paper plates to get creative with. After reading some National Geographic kids books on animals we tried making this paper plate frog. Saving the best for last. We LOVE making diorama's. Their is no limit to what you can create when it comes to shoebox diorama's. Check out our winter diorama post and our post on diorama fun for more fun ideas. 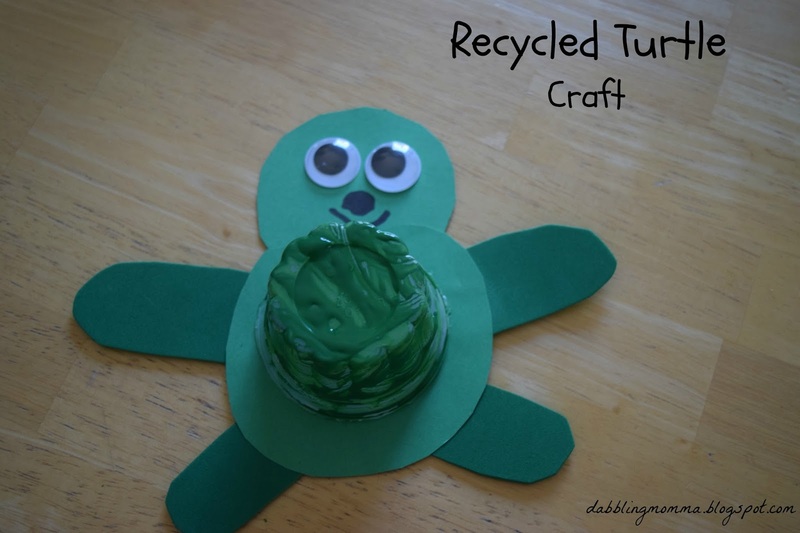 Think before you throw on how you can recycle/re-purpose those recycled materials! 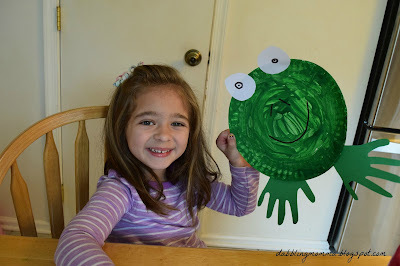 Thank ypu for sharing these cute crafts at #OverTheMoon. Pinned and tweeted. These all look like a lot of fun! I love the use of recycled materials. Thanks for sharing with #EverythingKids this week. 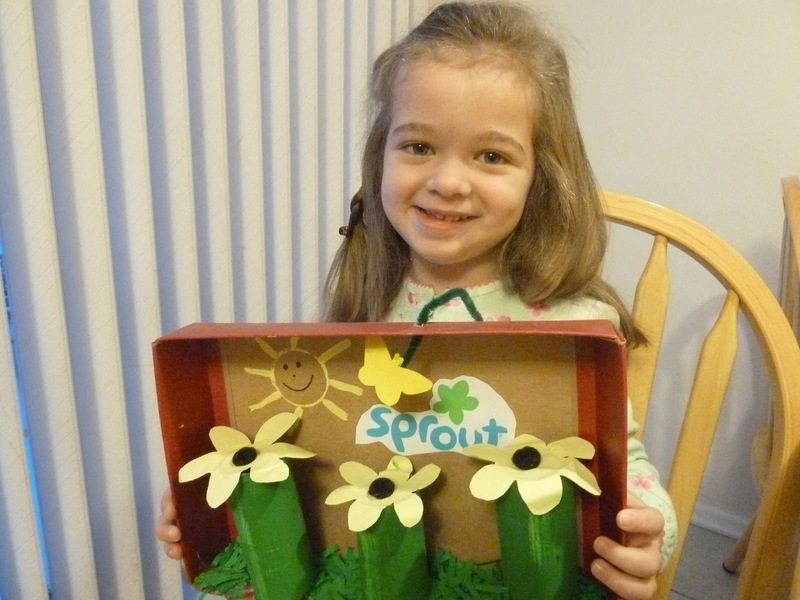 It's fun seeing what kids can imagine up with recycled materials!